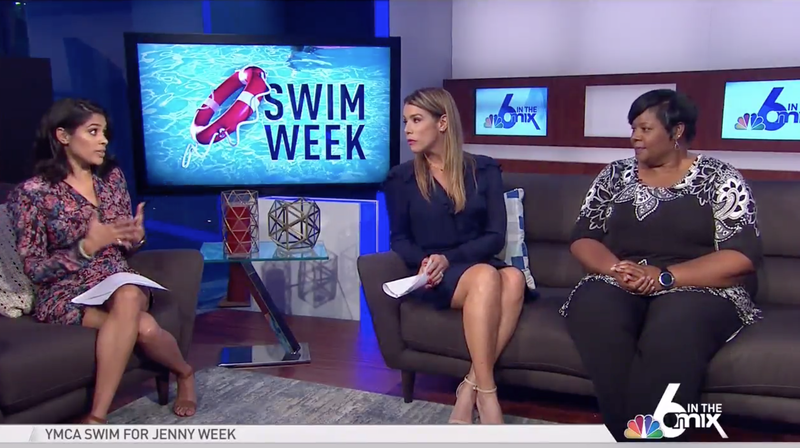 Thanks to NBC 6 Swim Week shining a spotlight on the YMCA of South Florida and its efforts around water safety and drowning prevention in South Florida, our Swim for Jenny Week of Free Swim Lessons, which took place during Spring Break (March 25-29), was a huge success. The YMCA provided free swim lessons and taught nearly 2,700 kids and adults be comfortable in the water. 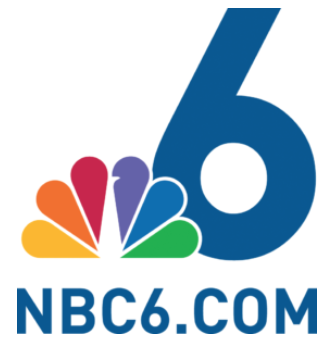 NBC 6 ran 5 stories and a segment on 6 in the Mix with tips and reasons for parents to make sure their kids know how to swim. 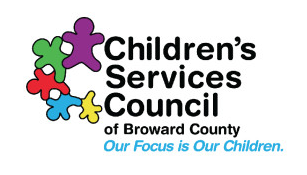 Swim lessons were offered at the Weston, Hollywood, Homestead and Pembroke Pines YMCA pools. 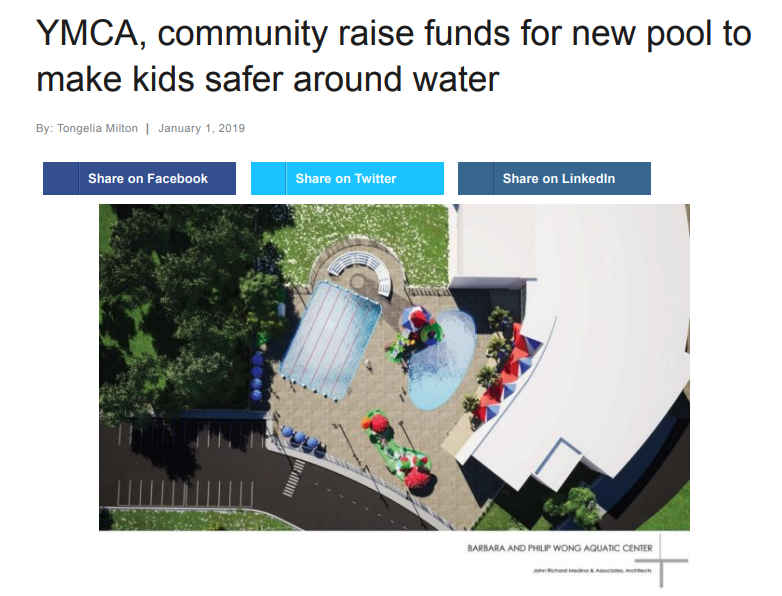 Kids from the community, as well as those in YMCA afterschool, special needs and preschool programs were able to take swim lessons and learn about water safety. 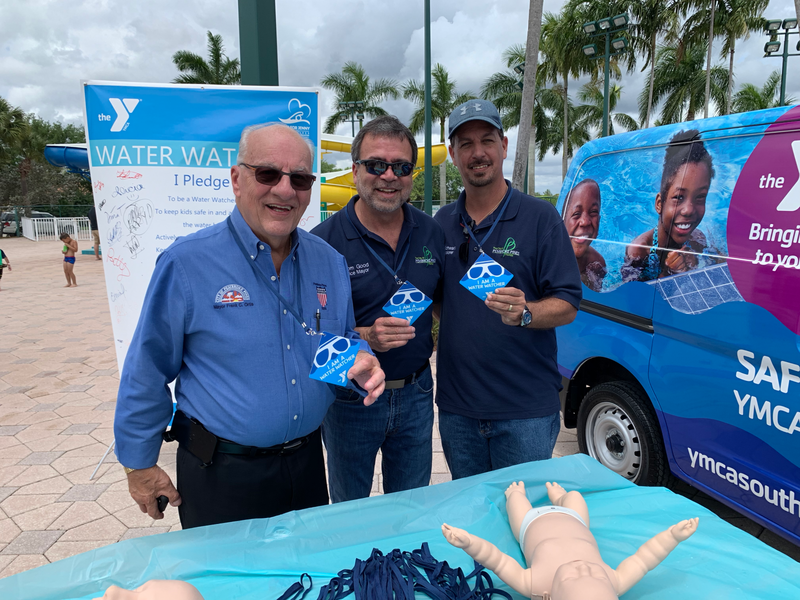 With the support of partners like NBC 6, Swim Central, Children’s Services Council and Joe DiMaggio Children’s Hospital, Ocean Reef, The Children’s Trust, Florida Panters Foundation, Carnival Foundation and Wells Fargo, we’re able to help make kids safer around water. The first quarter of this year is off to an amazing start. 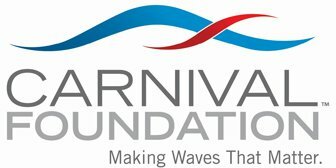 From over 2,500 lives people giving back through our annual Martin Luther King, Jr. Inspirational Breakfast, Luncheon and Day of Service in January to another 2,700 lives made safer around water by our Swim for Jenny Week of free swim lessons in March, we’ve made a huge impact on our community. I am excited to work with our new Board Chair Joaquin Urquiola. This year is shaping up to be a great year. 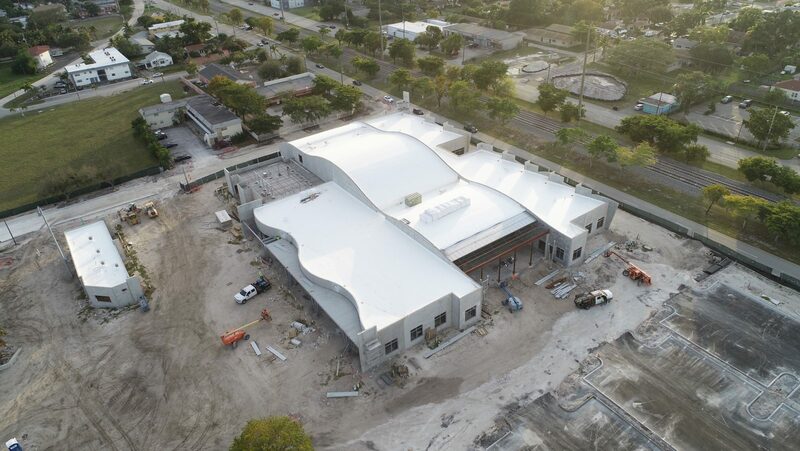 There is a tremendous amount of work going on within our Y with capital projects, youth development programs, membership services, and community partnerships. 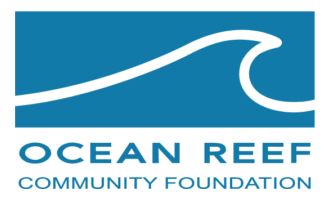 Our goal is to provide the community with programs and services that will make a difference in South Florida. 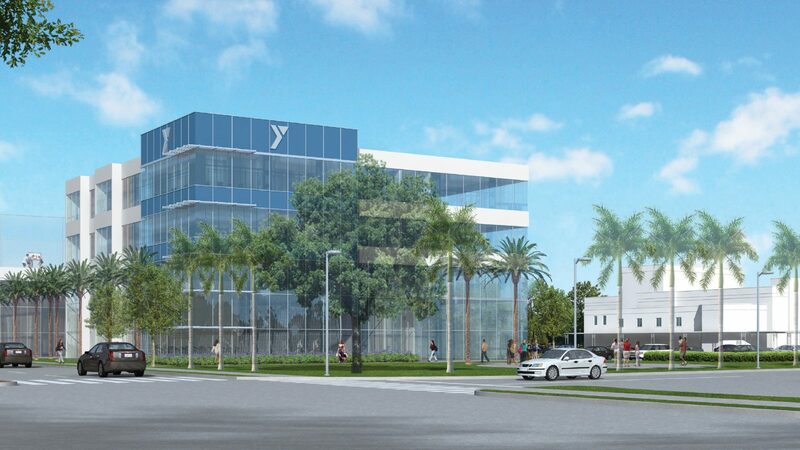 In addition to offering new, innovative programs, we will be breaking ground on the L.A. Lee YMCA/Mizell Community Center and opening the Hallandale Beach Y later this year. 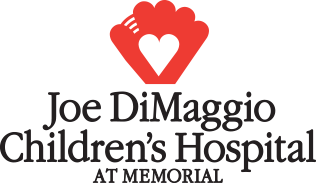 And now, as we get ready for summer, we’ll be providing quality care thousands of children, helping them stay active, be healthier, and just have plain old fun! And parents will have peace of mind knowing their kids are safe and learning at the same time. That’s the power of YMCA Summer Camps! Working side by side with a great staff team and volunteer team, together, we can accomplish so much. Let’s make this year another successful year at the YMCA of South Florida. The YMCA of South Florida’s teen programs took 79 students to tour 16 colleges over the course of the program year. 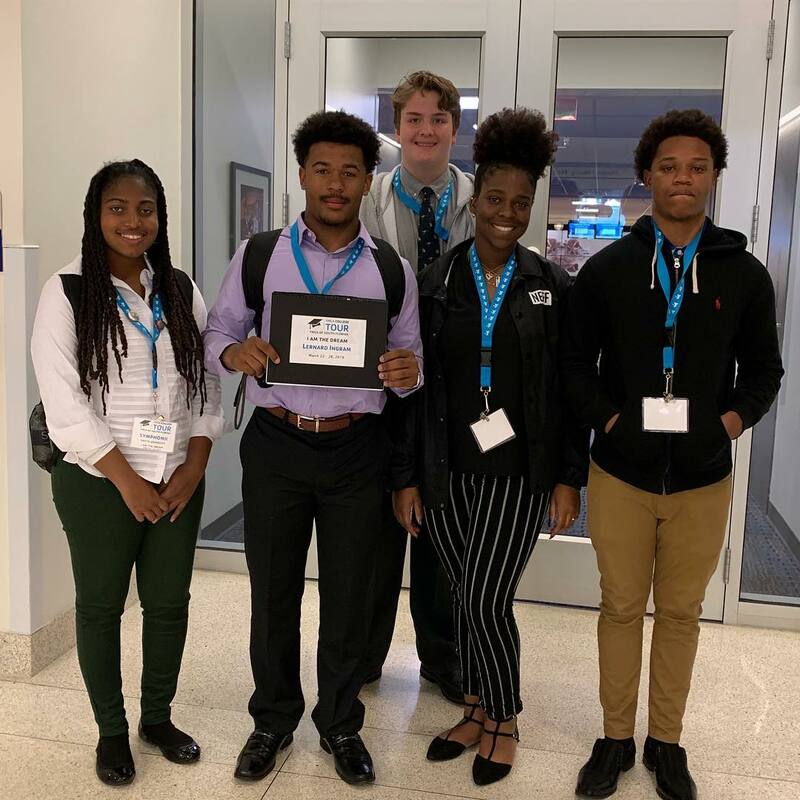 The program exposes students to post-secondary education opportunities and allows them to learn about colleges, steps to acceptance, and making important decisions about their future. 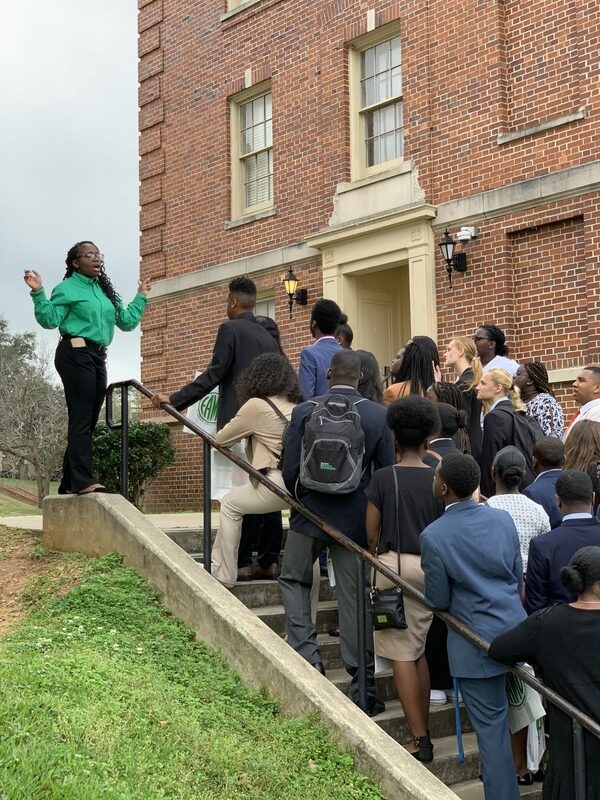 In February, the Youth In Government program headed to Tallahassee for the 62nd Annual State Assembly. While in town they toured Florida A&M University and Florida State University’s C.A.R.E. Program. Students also met with an attorney/lobbyist, attended the Governor’s Ball, and presided their own mock legislative and court sessions in the Capitol Buildings (House and Senate Floors) and Supreme Court. 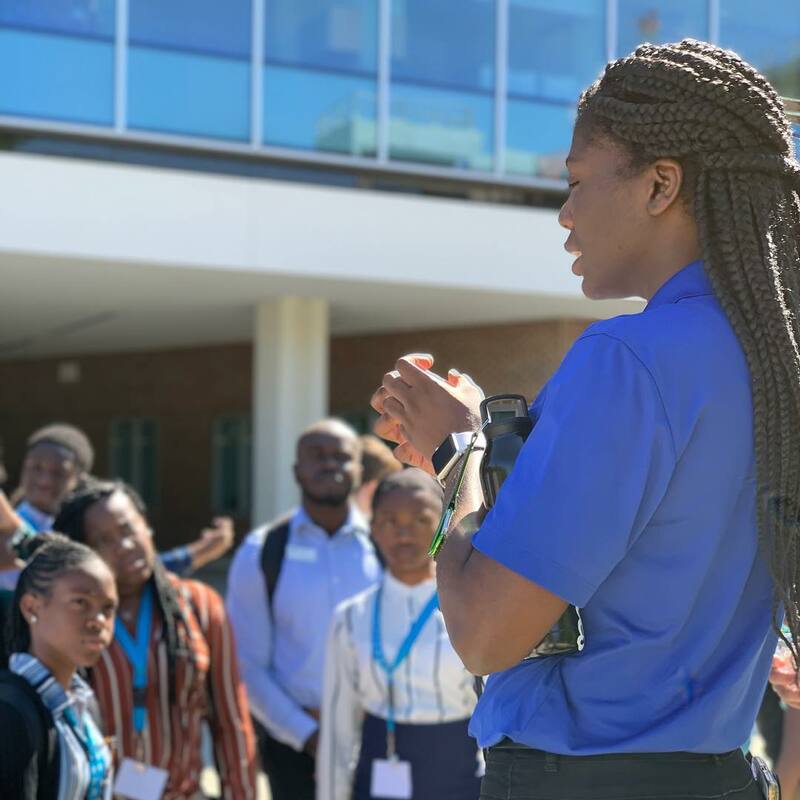 Over the program year, the Y College Tour visited 14 colleges across the Florida and Georgia area, including Broward College, the University of Central Florida, University of North Florida, Georgia Tech, Spelman, Morehouse, and Savannah College of Art & Design. They also participated in large and small group discussions, Y-Fit healthy activity games, scavenger hunts, and more. In addition to the admission, housing and campus life tours, the teens were able to visit cultural and historic sites. These college tours were made possible by our sponsors – The Salah Foundation, Pittman Law Group, Broward College, Ryder, and Milner. 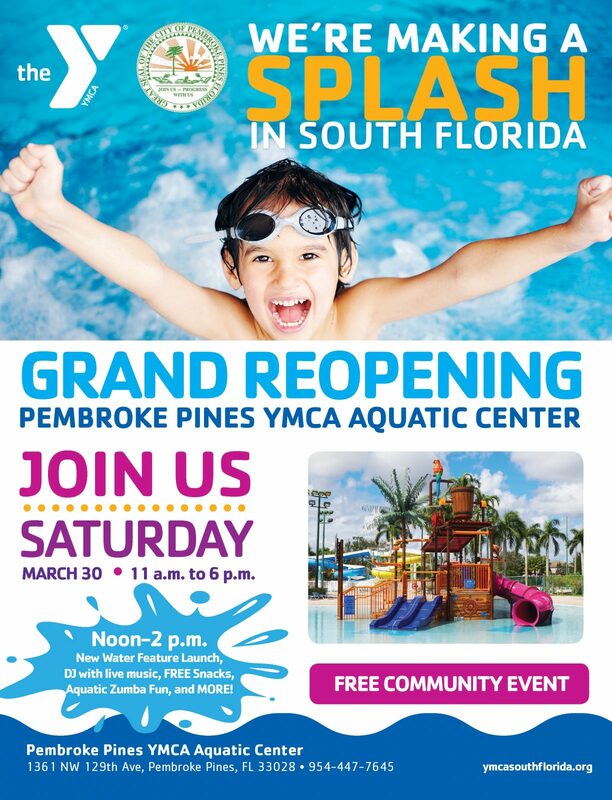 The YMCA of South Florida and the City of Pembroke Pines made a splash with the community with the grand reopening of the Pembroke Pines YMCA Aquatic Center on March 30. 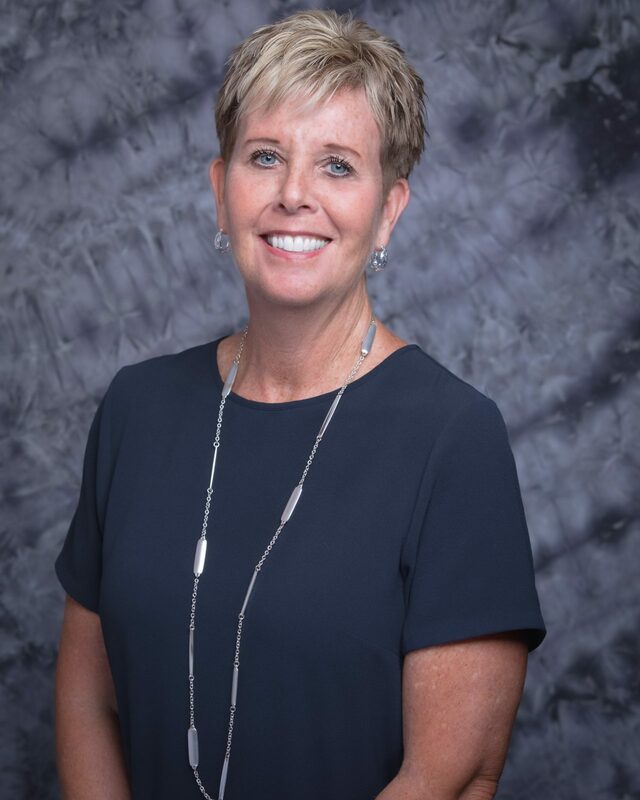 YMCA CEO Sheryl A. 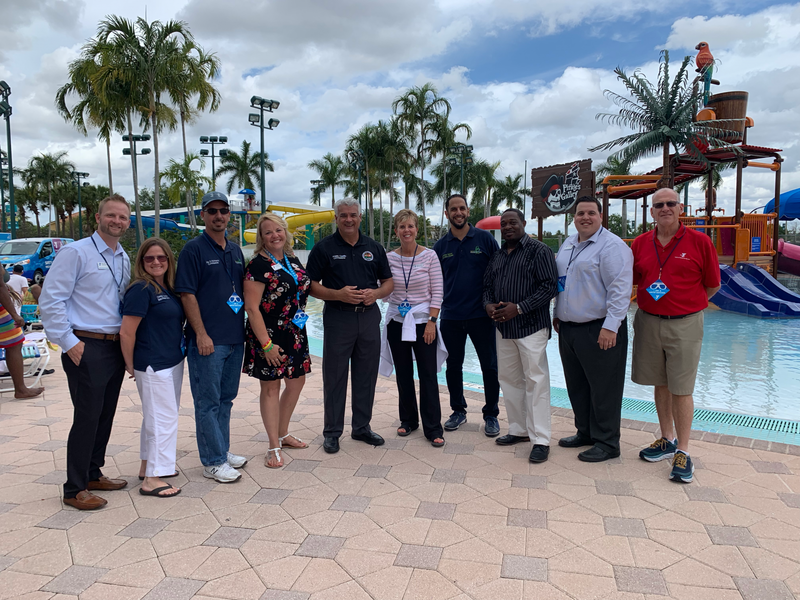 Woods was joined by Pembroke Pines Mayor Frank C. Ortis in launching the new Pirate-themed, zero-depth water activities pool and play area during the free community day. With the aquatic season beginning, more than 400 kids and families from the community attended. In addition to the launch of the new Pirate-themed water feature, the day’s activities included a DJ with live music, snacks, aquatic group exercise fun, water slide fun, and more. The YMCA Aquatic Center offers year-round swim lessons, water aerobics, water safety education, recreational swim, lap swim, zero-depth water activities play area, water slides, and other programming. The YMCA of South Florida celebrated its 15th Annual Martin Luther King, Jr. Inspirational Weekend January 18-21. 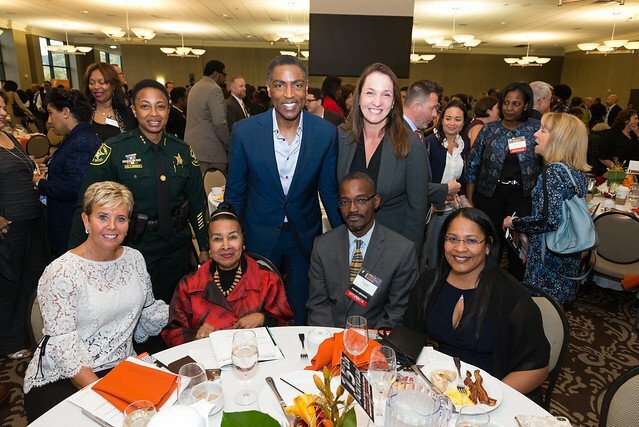 The weekend of activities included a breakfast in Fort Lauderdale and a luncheon in Miami with an encouraging and fierce keynote address by trailblazing broadcast journalist Xernona Clayton, followed by a Day of Service in both counties impacting more than 1,250 people. Dr. King grew up and held civil rights meetings at the Butler Street YMCA in Atlanta. 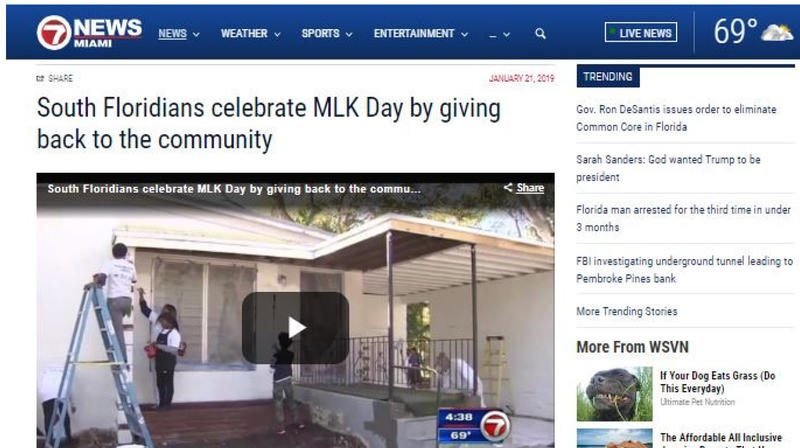 In South Florida, the tribute to Dr. King’s Legacy started as a breakfast in Broward County, but has grown over the years to include a luncheon in Miami and a Day of Service in both counties. 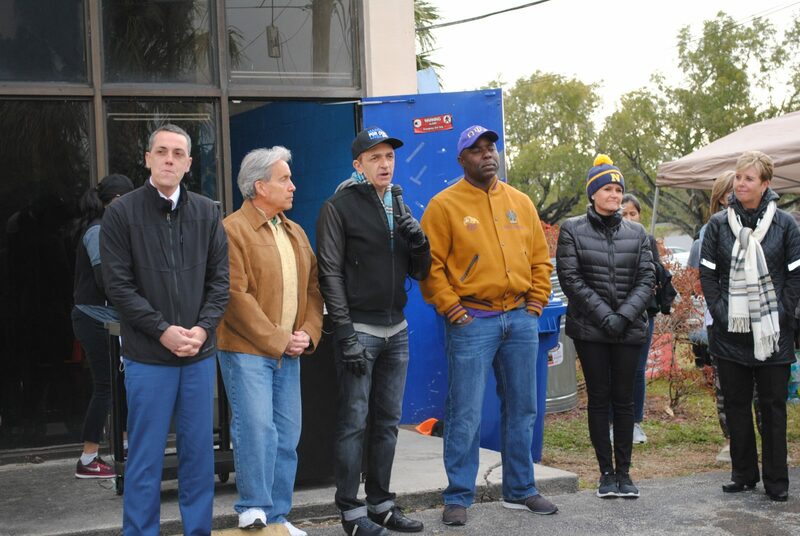 More than 750 community and business leaders attended the Breakfast and Luncheon and 500 volunteers came out to give back during the Day of Service. This year’s speaker, Ms. Clayton, a broadcast journalist and corporate executive, shared her inspirational stories. Aside from working closely with the King family, she was also the first black person in the South to have her own television show. She is the creator, founder, President and CEO of The Trumpet Awards, a worldwide, televised award show highlighting the accomplishments and contributions of African Americans. She has a large number of accolades and accomplishments surrounding her dedication to promoting racial understanding and her persistent fight against prejudice and bigotry. The breakfast and luncheon were held on Friday, January 18. 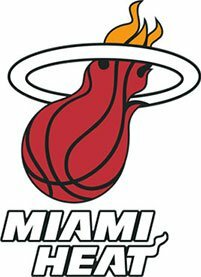 The breakfast, presented by JM Family Enterprises, took place at First Baptist Church of Fort Lauderdale, and the luncheon, presented by the Miami Heat, took place at the AmericanAirlines Arena. 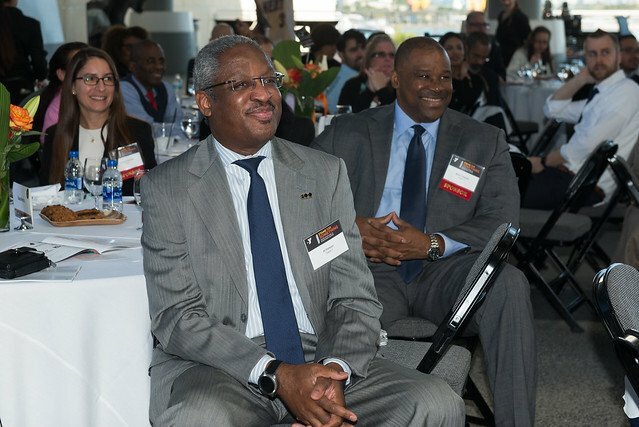 Both included Spirit of Community Award recipients, honoring the work of local community leaders, as well as, Youth Leadership Award recipients who receive scholarships in recognition of their commitment to social activism, civic engagement and the diversity ideals of Dr. King. The Y is moving forward with plans to build a new LA Lee YMCA/Mizell Community Center on the grounds of the former Mizell Center. 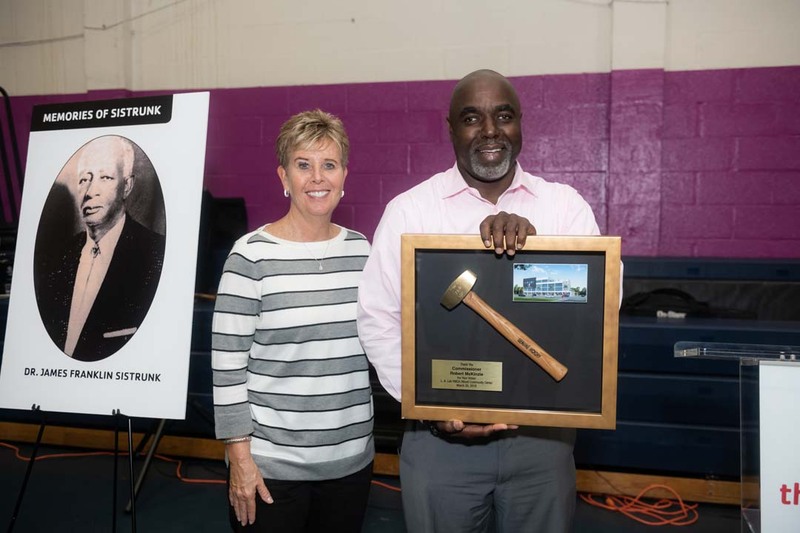 On March 20, a symbolic Golden Sledgehammer Demolition was held at the Mizell Community Center, followed by a charrette where members shared their vision for programming at the new YMCA scheduled to open next year. 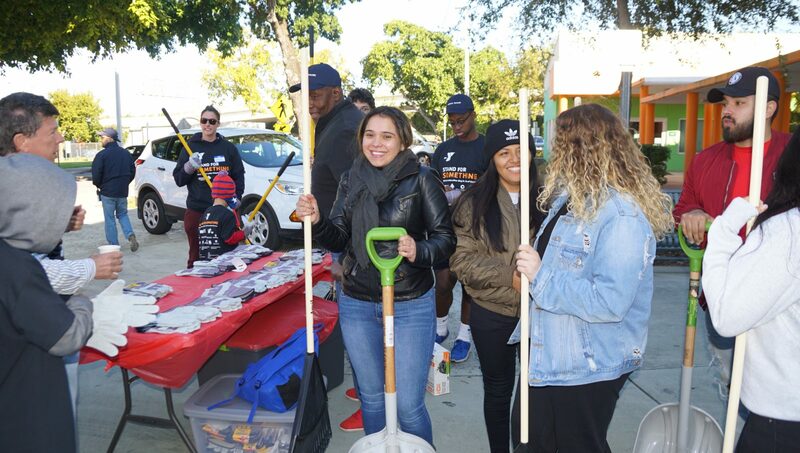 With nearly 200 members, donors and supporters in attendance, the Golden Sledgehammer event was a great opportunity to acknowledge and thank our supporters, and our members who are excited and deserve a new Y. 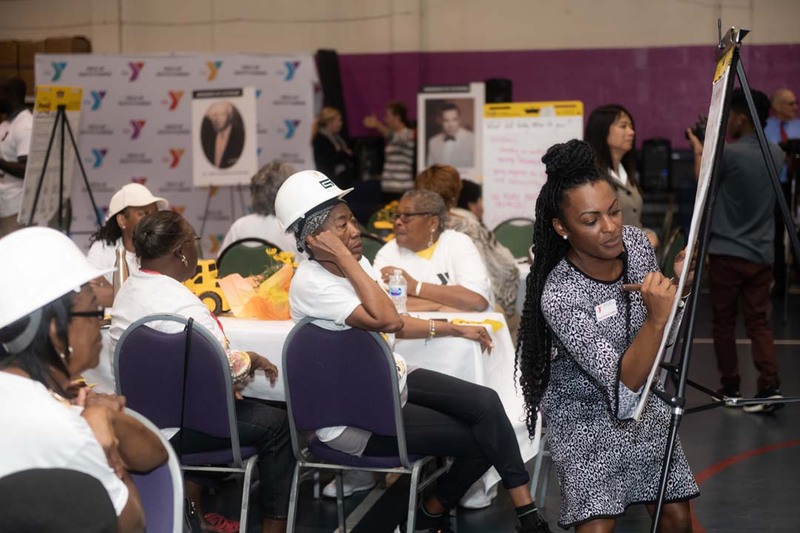 This new location for the L.A. Lee YMCA would allow us to service a broader segment of the community with more health and wellness options; and with the help of our partners, provide educational opportunities, jobs and employability opportunities. 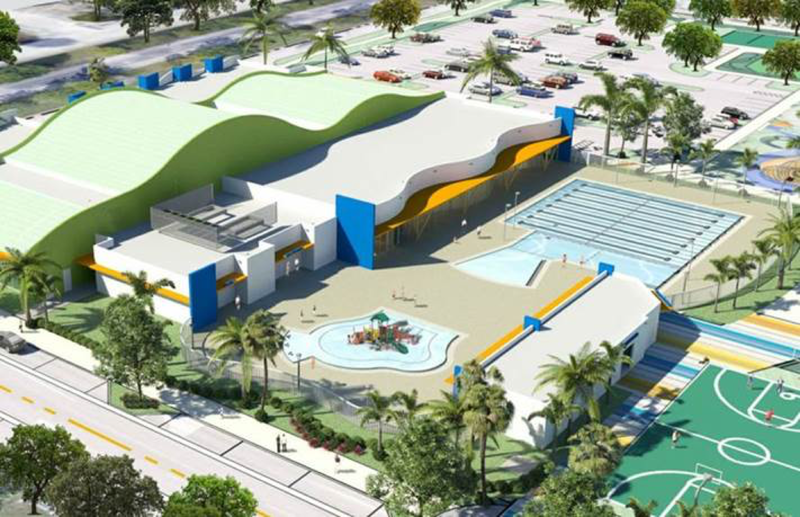 Construction on the Hallandale Beach YMCA continues to move along with a grand opening slated for later in the summer. Over the last couple of months, staff have been getting the word out into the community and preparing for the opening. They have participated in a job fair, attended the Hallandale Beach Chamber of Commerce meeting, was engaged in a Walking Audit of Dixie Highway to share ideas on safety, and was a part of the Pet Palooza pet expo, sharing membership information on the new Y.
Fundraising and awareness continue for the Holiday Park YMCA Family Center. Nearly a thousand kids and families were engaged in Y-Fit demos, water safety talks, and fun activities during the 4th Annual Spring Festival at Victoria Park on March 30. A free community event that spotlights the importance of keeping children active with physical and learning activities. It provides opportunities for families to experience games, arts and crafts, and sample YMCA programs, sports and activities. Let’s Dive in and Build it Together! Summer Camp at the Y lets kids own their summer while having loads of fun and adventure from sports, aquatics, art and science to fitness, performances, leadership training and making new friends. Saturday, September 21, 7 p.m.